Boston's Old State House boasts a colorful history, but most people remember it today because the Boston Massacre - a deadly confrontation between Colonists and British soldiers considered to be the first bloodshed of the American Revolution - took place under its East Balcony on a snowy March day in 1770. 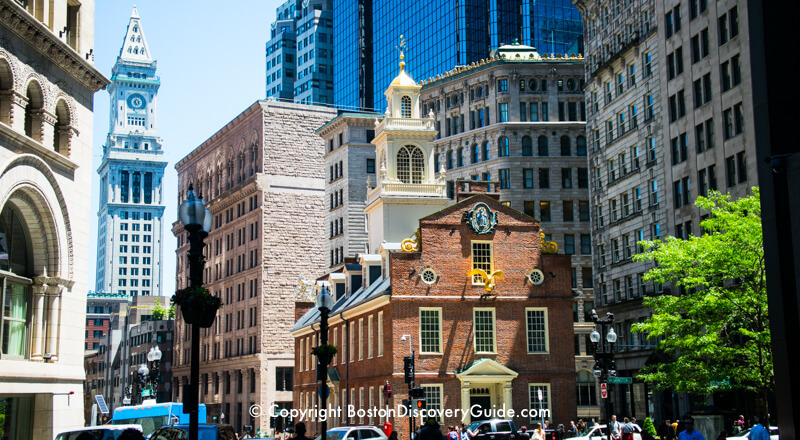 Today, the Old State House serves as a museum dedicated to Revolutionary Boston and the events leading up to the beginning of the War for Independence. In addition to being the city's oldest surviving public building and a museum dedicated to Revolutionary Boston, this Freedom Trail site also has the distinction of being the oldest historic building in the United States to house a subway station in its sub-basement. The first event occurred in 1761 when lawyer James Otis, Jr. spoke for 8 solid hours in opposition to the newly imposed Writs of Assistance, which gave British authorities the right to enter and search private homes and ships for smuggled goods. John Adams called Otis's speech "the first scene of the first act of opposition to the arbitrary claims of Great Britain. Then and there the child Independence was born." The second critical event occurred outside the Old State House under the East Balcony (shown in photo above) on March 5, 1770, when British soldiers fired into a rowdy crowd of Colonials and killed 5 men. 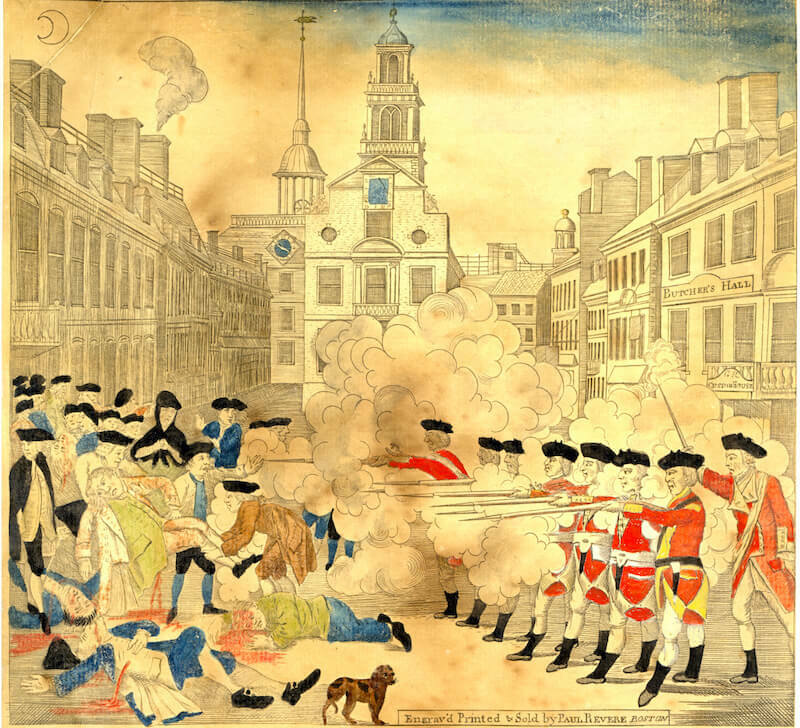 The Boston Massacre, as this terrible event came to be called, is considered the first bloodshed of the American Revolution. Finally, on July 18, 1776, the Declaration of Independence was read for the first time in Boston from the East Balcony to a large crowd outside. Afterward, carved figures of a royal lion and unicorn, symbols of English rule, were ripped from the roof and burned in a huge bonfire. By 1776, building had officially become the Massachusetts State House . . . until 1798 when the government moved to the current State House. The Old State House Museum has wonderful exhibits designed to make the events that shaped the making of the colony, state, and country come alive. 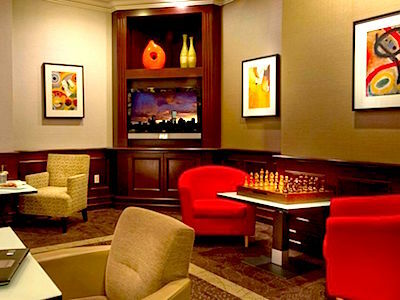 You'll find two floors of interactive, hands-on exhibitions about the role that the building played in the events leading up to the American Revolution - the Boston Tea Party, the Boston Massacre, and other events. 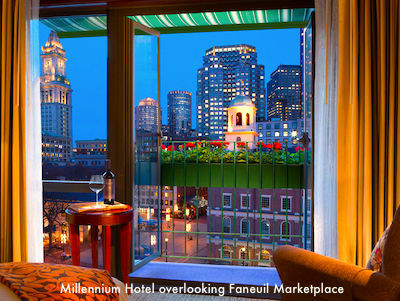 You can also see Paul Revere's famous engraving depicting the Boston Massacre. Although it appears in lots of elementary school history textbooks to illustrate the event, the museum points out that Revere deliberately misrepresented the actual event in order to use the picture as propaganda to incite anti-British feelings. In other exhibits, you'll see real tea from the Boston Tea Party (recovered from a participant's boots! ), John Hancock's coat, and other relics from the Revolutionary War period. In addition to the Boston Massacre Reenactment each March, you can hear the annual reading of the Declaration of Independence here on each July 4th. Tours are offered daily at 3pm (free with Old State House admission). 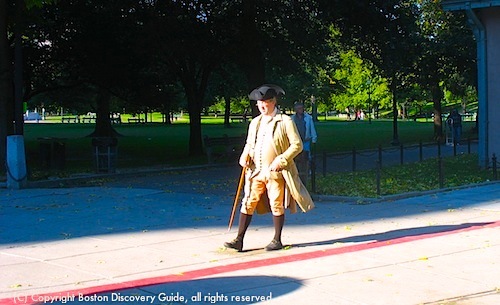 From June - October, costumed reenactors representing Revolutionary characters are present to talk with you about what it was like to live in Boston during the exciting days leading up to the beginning of the American Revolution, and to answer your questions. The museum also hosts special evening lectures periodically - check their website (below) to find scheduled events. Location: 206 Washington Street, on the Freedom Trail; the Museum is not wheelchair accessible because its status as a National Landmark makes adding an elevator problematic at this time. 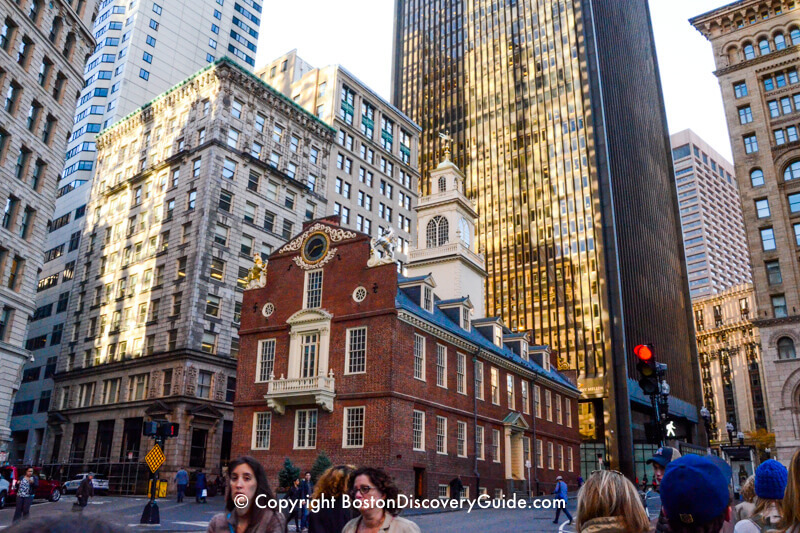 Boston's Old State House was originally built as a multipurpose building - a tradition it continues to the present day in its role as a museum, a Freedom Trail site, and at the basement level, a subway station. The Old State House actually sits on the site of an earlier 1658 building called the Town House. After the Great Fire of 1711 destroyed it, a new structure known as the New Town House arose from the ashes in 1713. For much of the 18th century until the American Revolution began, the second floor of the Old State House contained offices for the British Royal Governors - and for the Massachusetts Assembly. As you might imagine, this shared space became an explosive combination as tensions grew between England and the Colonials. After the end of the War for Independence, Paul Revere worked in it during 1799-1800. 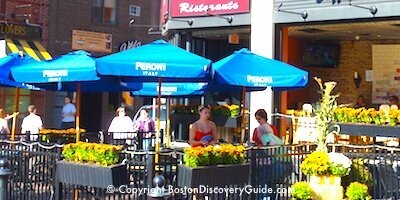 Boston History - Want to know more? Our Boston history timeline makes it easy!